Ever wonder if you could change a neckline from a crew neck to a V-neck? Of course you can! 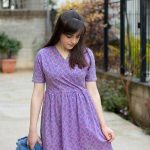 It is actually pretty easy and today I’m going to show you how to modify the neckline on your Sheona dress or top and turn it into a V-shape. So the first thing you’ll have to do is trace off your front and back pieces onto a new piece of paper. 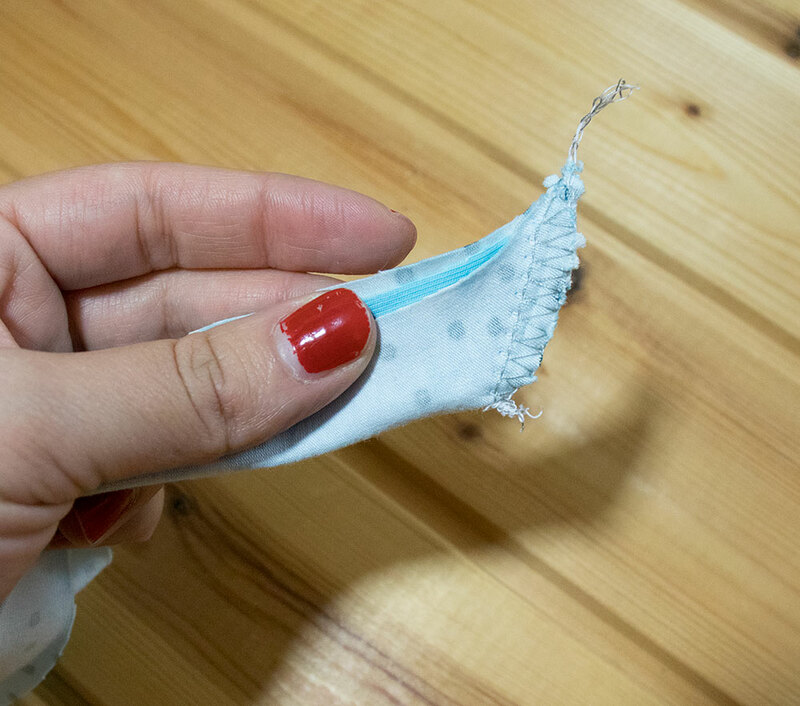 Now, in all honestly, you don’t actually have to do this for this hack, because you can get away with drawing on your pattern piece and folding the extra part under. But if you do want to trace your pattern, go ahead and do that. Next, you have to determine how low you want your V-neck to be. There is no specific answer here as it is very much a personal preference, but a general rule would be to lower it around 10 cm (4″). As you can see in the photo, I originally drew a lower neckline but didn’t like it, so I redrew a new line a bit higher. 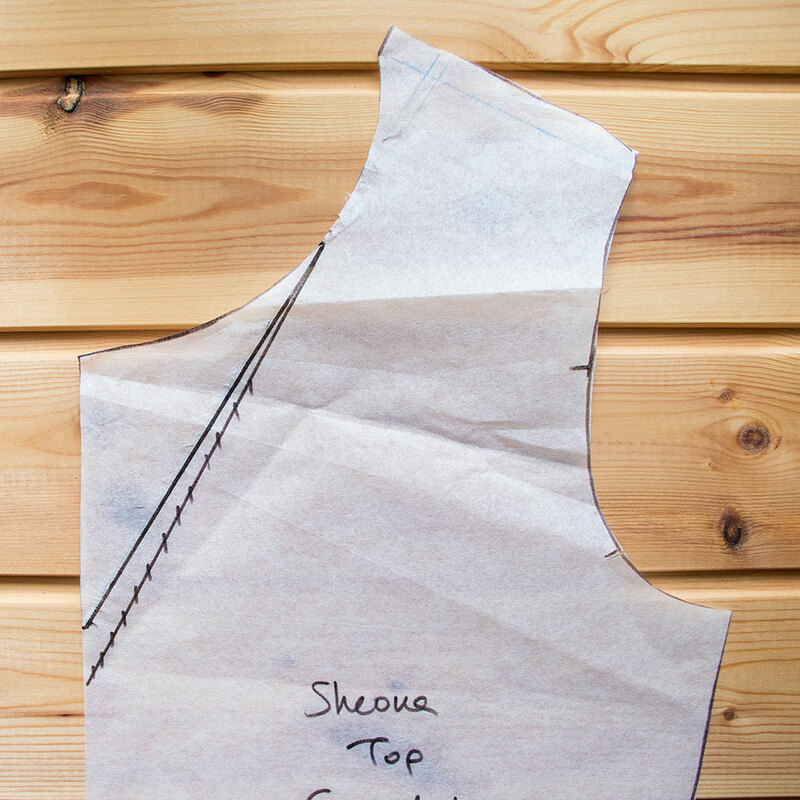 What you can do is hold the pattern piece in front of you and see approximately where you want the neckline to sit. Mark this point and then draw a straight line from that point up to the shoulder, as you see below. 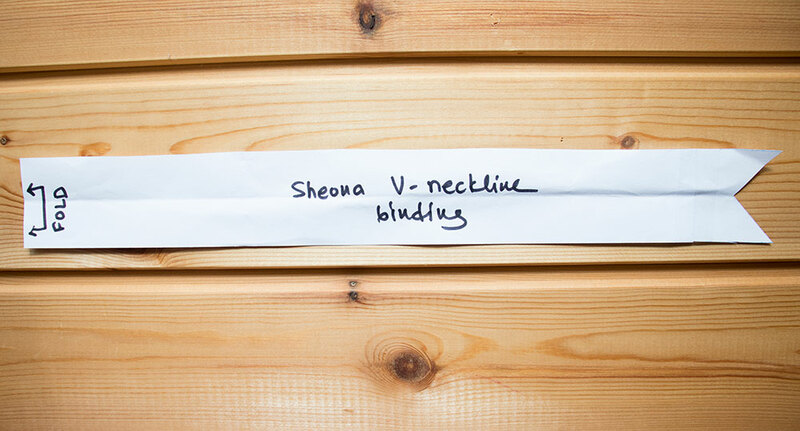 Now that you have your new neckline, you are going to draft a new neckband piece. First of all, think of how wide you want your neckband to be. 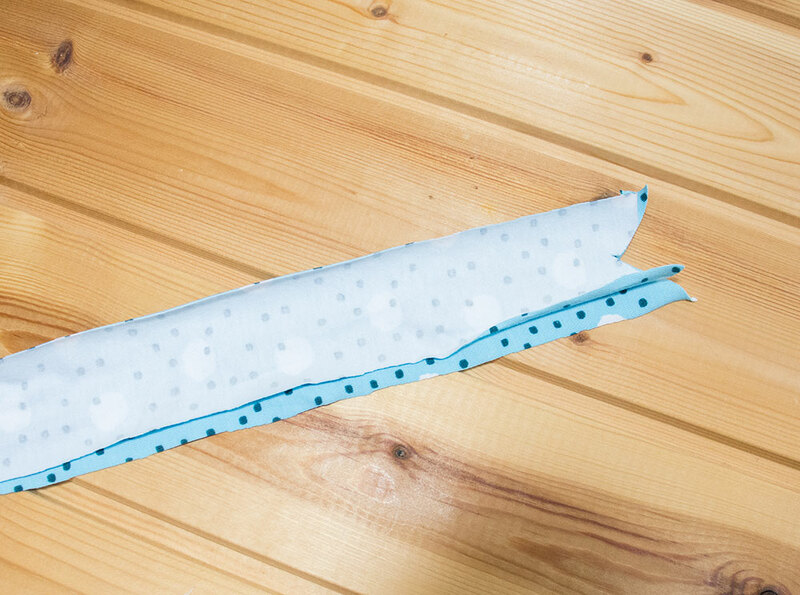 The piece will be folded in half and you will also have to consider the seam allowance on both sides. 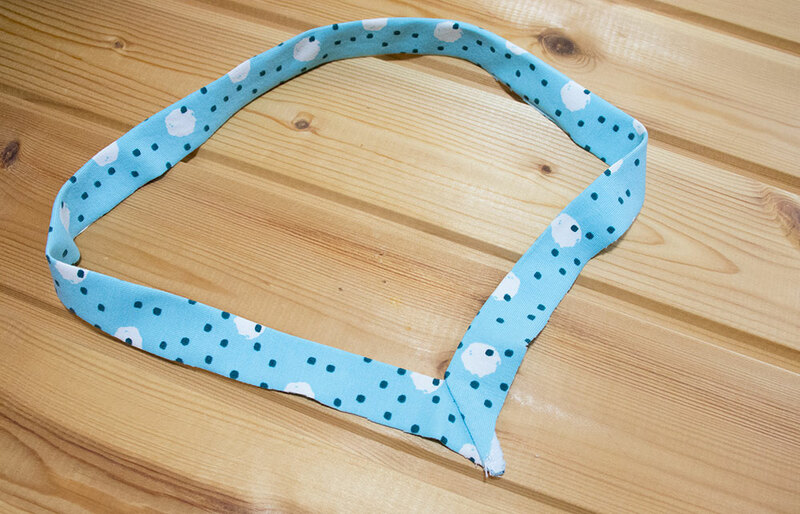 So for example, if you want your neckband to be 2 cm wide, you will have to draft a piece that is 6 cm wide. In my case I wanted it narrower, so I went for a piece that was 4 cm wide (similar to the neckband on the original Sheona). 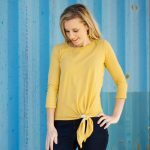 To find out the length of your neckband, I want you to measure your front and back necklines (on the pattern pieces themselves, which are on the fold) and withdraw the 1cm (3/8″) seam allowance on both shoulder seams (so from the measurement you’ll get, you’ll remove 2 cm). My neckline was 68 cm. Next, I want you to withdraw 2,5cm (1″) from that measurement because we will want the neckband to stretch a little bit around the neckline and finally I want you to add 1 cm (3/8″) seam allowance, because we will join the neckband on the front point. In my case, my finished neckband was 4 cm wide and 66,5 cm long. 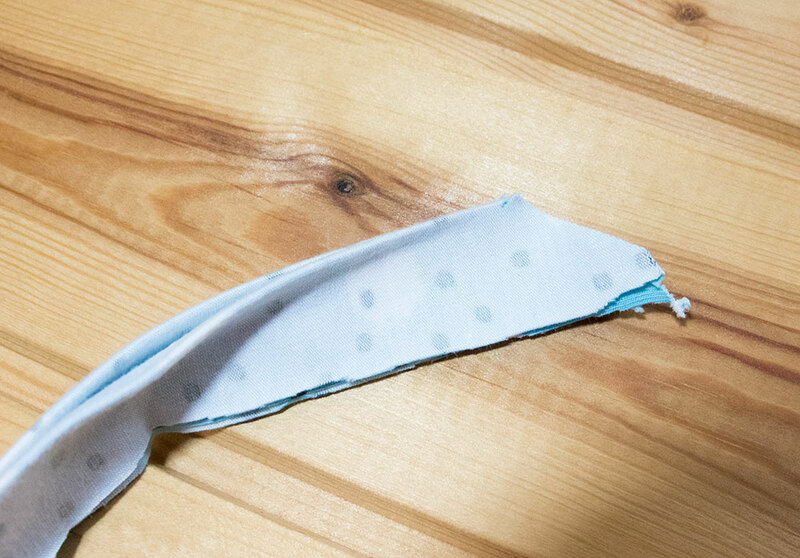 To avoid drawing such a long piece, I also divided this measurement in half and put a mark to cut the neckband on the fold, as you can see in the photo. So to sum up, my neckband was 4 cm wide and 33,25 cm, to be cut on the fold. Then, you will have to re-shape the edge of the neckband in order to help it lay flatter on the V-neckline. 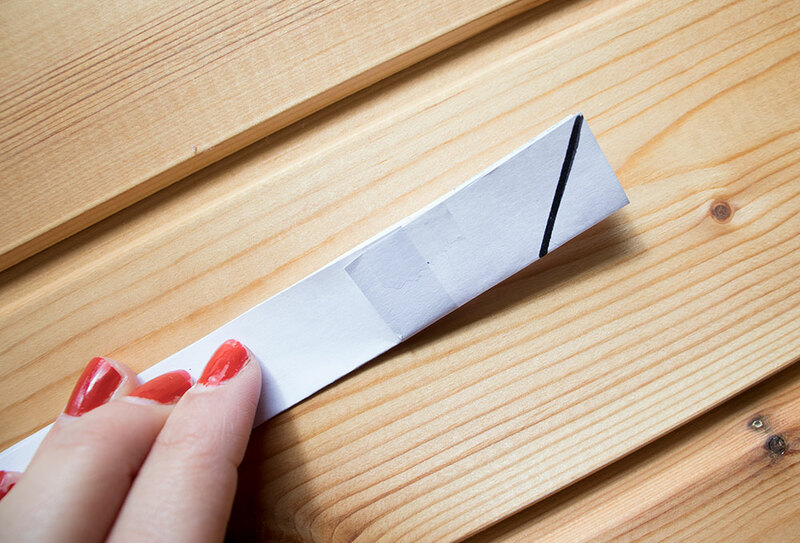 Fold your piece in half lengthwise and with a straight ruler I want you to draw a line at a 45 degree angle, like you see in the photo. Cut along the line and open up the piece. It must look the way you see it in the photo below. Take the neckband and fold it in half, right sides together and matching the pointy edges. With your neckband folded in half, fold again lengthwise. 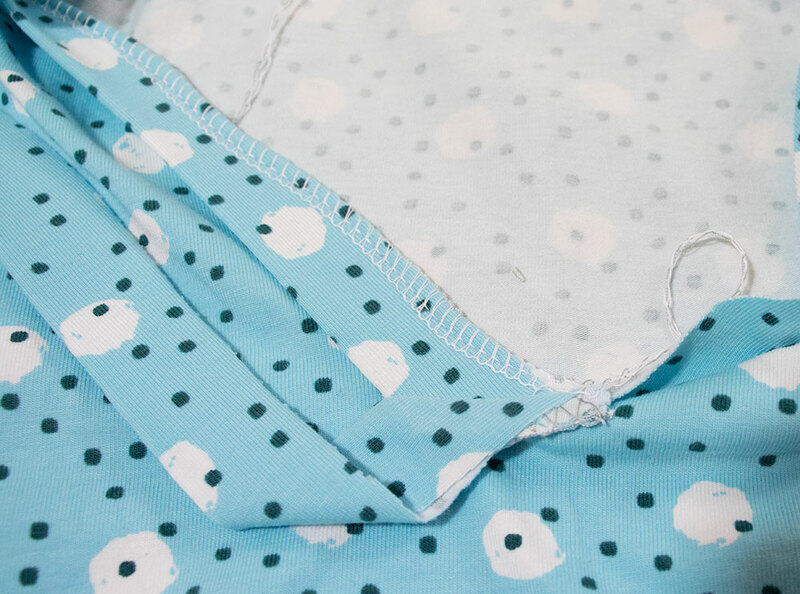 Sew the slanted edge either with a zigzag stitch on your sewing machine or with your overlocker. Open up and give your neckband a good press. Now let’s attach the neckband to the neckline. Fold your dress/top in half and find the center fold on the back neckline. Snip a tiny notch. 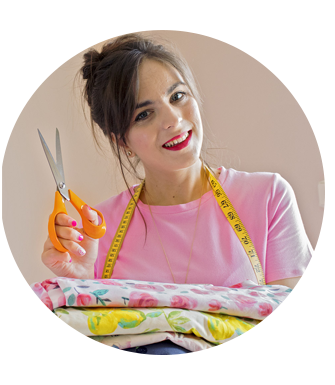 Fold your neckband in half and also snip a notch at the center back fold. 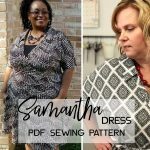 You are going to pin the neckband to the neckline right sides together and matching the raw edges, making sure to match those center back notches as well. The pointy edge of your neckband should match the point on your neckline. Pin one side first and stitch from the center back to the center front. Then go ahead and repeat the same on the other side. Give everything a very good press. 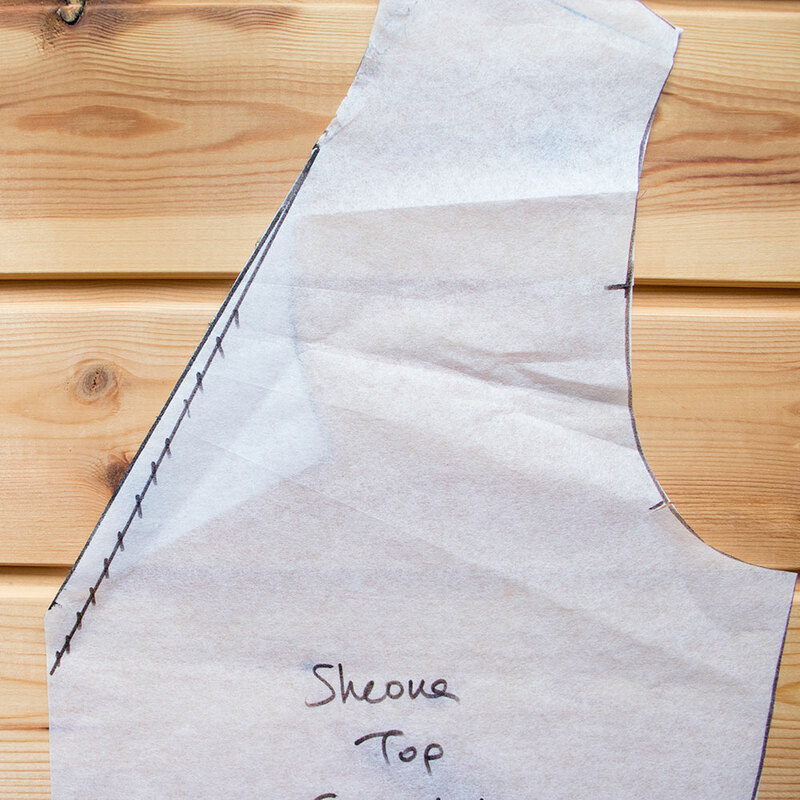 You may also sew a line of topstitching to help the neckband lay flat, catching the seam allowance on the inside. And that’s it! You just turned a crew neck top or dress into a V-neck! It wasn’t that hard, was it? I hope you enjoyed this tutorial and that you found it easy enough to try it yourselves. For my version, I used a gorgeous jersey that I got from Lamazi Fabrics. 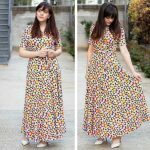 It is a very high quality fabric with a stunning print and easy to work with. Make sure you check out their beautiful selection of jerseys, you will not be disappointed. And if you are interested in styling, I wore my dress with my favorite black booties from H&M and my favorite earrings from Bijou brigitte. Don’t forget, if you do try this hack or any other hacks from the Sheona series, post it on Intstagram and tag me at @athinakakou or use the hashtags #akpatterns , #aksheona so we can all admire your version.